White Chocolate is a popular candy and used as a flavoring agent for many desserts and beverages. However, unlike traditional chocolate, white chocolate contains no caffeine. The only part of the cocoa bean that white chocolate contains is the fat or cocoa butter. During production, this fat is separated from the cocoa solids and would contain only a small trace, if any caffeine. In fact, the possible trace of caffeine in cocoa butter is so low that it is considered caffeine-free. 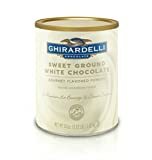 White chocolate primarily gets its flavor from vanilla flavoring added to the product. Any white chocolate product that is blended with regular chocolate or added to coffee would not be caffeine-free. Example: A Grande Starbucks White Chocolate Mocha has 150 mg of caffeine per 16 fluid ounces because of the espresso shots used to make the beverage. While you may experience an energy rush after eating white chocolate, it isn't the result of caffeine, but instead, the high amount of sugar white chocolate contains. 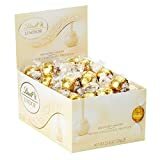 It is often the first ingredient in white chocolate candy. Some white chocolate may contain no cocoa butter even though the label says white chocolate. See the examples below, under the ingredients heading. If the product doesn't contain cocoa butter then it is not real white chocolate. 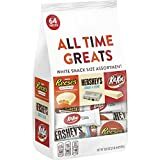 Hershey's Premiere White Chocolate Morsels: Sugar, Palm Kernel Oil, Lactose, Whey, Milkfat, Non-Fat Milk, Sodium Caseinate, Buttermilk Solids, Hydrogenated Palm Oil, Soy Lecithin, Natural And Artificial Flavors.